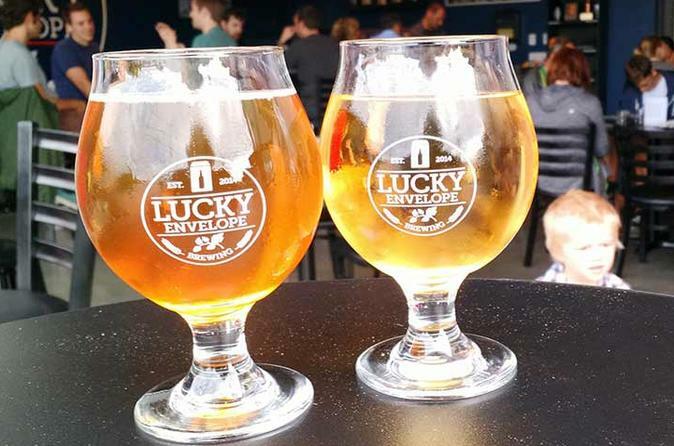 TOUR INCLUDES LUCKY ENVELOPE BREWING, POPULUXE BREWING, AND BAD JIMMY'S BREWING. Right in the center of Ballard's brewing district, this easy walk is less than half a mile but filled with great beers. You will get to try some of the beers that have made Ballard one of the most famous brewing districts in the world. Each brewery features traditional beer styles and we'll learn a bit about them, the brewery and some brewing history. These small neighborhood brew pubs are also famous for their innovative and unique styles. Whether you are an experienced cerevisaphile or trying your first ale or lager I guarantee you that you'll find something that you've never tasted before, something you might not care for, and something that you will love. If you have never been to Seattle's brewery scene you will find the atmosphere warm and inviting, and most brew pubs are family and pet friendly. We will start out at Ballard's newest, and smallest micro-brewery. True to the Northwest brewing aesthetic there is nothing fancy here. Just a small brewing operation built in a warehouse that is open, neighborly and pouring some great beers, anytime of time of year. There are usually a dozen beers on tap and we are going to try four that will surpise and amaze you. Next stop is the popular Populuxe Brewing. A cute little blue house with a large outdoor courtyard and a recent addition that includes pinball machines!. These folks brew from the heart and we are going to try some sensational brews. I can hardly wait. Jimmy may be bad but his beers are great. And Jimmy's brewers tell me that they are brewing up something special just for you. They are known for their intense ales so you will be in for a treat. There will be some familiar styles and something you never expected to find. We'll try three and let you decide.